Wearing sunglasses for protection should not be reserved for sunny summer days, says Dianna Seldomridge, spokeswoman for the American Academy of Ophthalmology and practicing eye doctor at Duke University. The next time you head to the drugstore to buy sunscreen, don't forget to pick up some sunglasses, too. That's because both products work to protect your body from the sun's damaging ultraviolet rays. 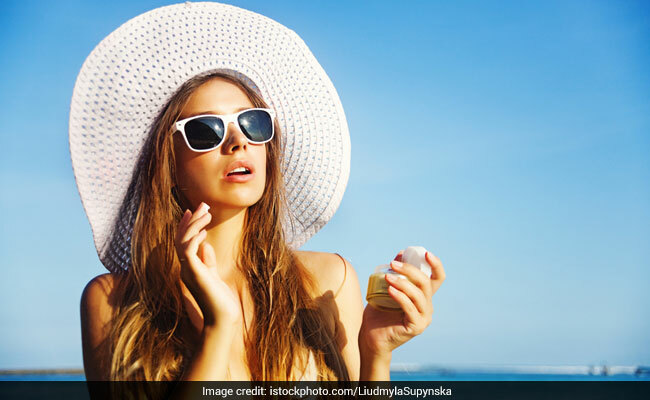 Wearing sunglasses for protection should not be reserved for sunny summer days, says Dianna Seldomridge, spokeswoman for the American Academy of Ophthalmology and practicing eye doctor at Duke University. There's UV light on cloudy days and during other seasons of the year -- anytime it's daytime. "It's important to protect your eyes all year round," she says. What's the harm? Cataracts, other growths and some cancers are directly related to UV exposure. 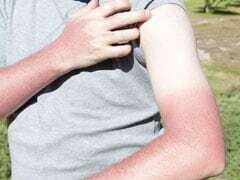 Americans are perhaps better versed about the risks of skin cancer from too much sun on unprotected skin than they are about the risks to the eye. The underlying process is the same, says Albert Jun, an ophthalmologist at Johns Hopkins Wilmer Eye Institute. In human tissues - whether skin or eye - he says: "UV light causes oxidative stress. It plays a role in the aging process and in disease processes." Children's eye health and safety month: It is to prevent eye damage during early years of learning. Read here to know different ways to protect your child's eye health. A high dose of beta-carotene can boost the risk of lung cancer among smokers. Cataracts occur with normal aging - the lens of your eye gradually turns cloudy. They can cause your vision to be blurry or doubled, and can lead you to have difficulty seeing at night. When severe impairments of vision result, cataract surgery may be recommended. More than 3 million Americans undergo the surgery each year. Cataracts progress slowly, Jun says. "A 40-year-old will have some evidence of cataract, but it doesn't affect vision." Fifty percent of white Americans have cataracts in their late 70s; Hispanic Americans and African Americans have somewhat lower prevalences: 45 and 40 percent, respectively, according to the National Eye Institute. So age is the main risk factor, and research has implicated exposure to the sun's UV rays as another. "UV exposure increases your risk of getting more advanced cataracts, or cataracts at earlier ages," Jun says. In other words, you might get cataracts in your 40s or 50s instead of your 70s or 80s. People living near the equator or at high altitudes are at higher risk. "There's regional susceptibility and genetic susceptibility," Jun says. Other risk factors for cataracts include smoking and diabetes. In addition, some evidence suggests UV light has more effect on the eyes in early life, childhood and into your 20s. The public health message to protect eyes from the sun is appropriate for all ages, but perhaps it should be aimed especially at the young. Other eye conditions are related to UV exposure, including the noncancerous growths known as pinguecula and pterygium. The former is a yellow spot or bump on the white of the eye, and the latter, also known as surfer's eye, is a fleshy growth that can spread to the cornea and affect vision. These growths are related to UV exposure, as well as frequent exposure to dust and wind. Age-related macular degeneration has been associated with UV exposure, though the evidence for this relationship is weaker. Seldomridge says the data are "very mixed." Damage from sunlight and its UV rays accumulates, Seldomridge says. "It's a lifetime risk," she says. She recommends parents teach their children to wear sunglasses and hats when they're outside. There's no need to buy expensive sunglasses. Look for shades that are labeled full UV protection, or protects against UVA and UVB, or "UV 400," which means it blocks light at wavelengths up to 400 nanometers (which covers both UVA and UVB rays). "Darker lenses don't necessarily offer more protection. The color of the lens doesn't matter," Seldomridge says, adding that what matters is whether they're labeled UV protection. Sunglasses do not wear out, with regard to UV protection, unless they're damaged or scratched, she says. Think about coverage, though. "I tell all my patients: Large sunglasses or wraparound sunglasses are best," Seldomridge says. More coverage means more protection from light getting in. Are there alternatives to sunglasses? What about a baseball cap? "A baseball cap gives some protection, but sunglasses are better," Jun says. He advises wearing sunglasses when you're outside doing yard work. In addition to UV protection, you'll be protecting your eyes from debris thrown by the lawn mower or from a branch while pruning. Your car's windshield does block UV rays, but the car door window may not. Indeed, some studies have noted cataracts being more common in people's left eyes than right, presumably from time spent driving. So wear your sunglasses. Not just for fashion, but for your eye health.